Home »Catalog »Products By Manufacturer »American Breast Care Breast Forms »Breast Forms »American Breast Care »Immediate Post Mastectomy Products by Ladies First, Too Beautiful, Amoena, TruLife, Gentle Touch, LuisaLuisa & Wear Ease »Other Post Mastectomy Products »Other New Products »Promotional Products »American Breast Care Massage Super Soft Breast Form 10275 - New!! American Breast Care Massage Super Soft Breast Form 10275 - New!! The Classic Massage Foam triangle shape with an average profile in the bra cup. The back of this breakthrough breast form features channels of silicone gel that create paths for air circulation. Crafted with Lightweight, super soft silicone for added comfort, drape and softness. Now Comes As An Asymmetrical! 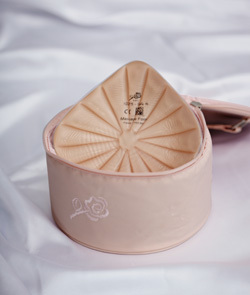 Get the lowest price on ABC 10275 American Breast Care Massage Super Soft Breast Form 10275 - New!!. We are dedicated to always offering the best service and value to our customers. We will match the price, at the time of purchase or until 7 days after your purchase, on a Price Match Guarantee product if you find the same item ( ABC 10275) at a lower price at a Designated Major Online Retailer or at a local retail competitor's store in the US.